Guest Coach Lucy Philips came for the weekend to train the vaulters, who all worked hard with some group and some individual sessions. This weekend finished with the clubs Xmas Party. 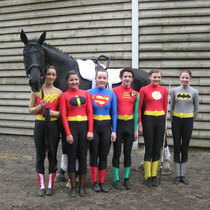 The team came 2nd with their superb superhero themed routine on the barrel. Pas de deux: 1st Hannah Ballantyne and Kirstin Henderson on ILPH Islay, lunged by Lynn Ballantyne. Senior Individual: 2nd Yazmin Williamson on Big Ben, lunged by Lynn Ballantyne. Junior Individual: 2nd Hayley Roberts on ILPH Islay, lunged by Liz Mackay. Child Individual 2*: 4th Atholl Pettinger on Big Ben, lunged by Lynn Ballantyne. Child Individual 1*: 1st Mark Porteous on ILPH Islay, lunged by Liz Mackay. Walk Individual Class A: 1st Emily Hardie, 3rd Alicia Boyle, 6th Emma Leslie all on ILPH Islay, lunged by Janice Henderson. Walk Individual Class B: 2nd Issie Jeffrey on ILPH Islay lunged by Janice Henderson. Walk Tech Test: 1st Atholl Pettinger, 2nd Kirstin Henderson, 3rd Hannah Ballantyne all on ILPH Islay, lunged by Janice Henderson. 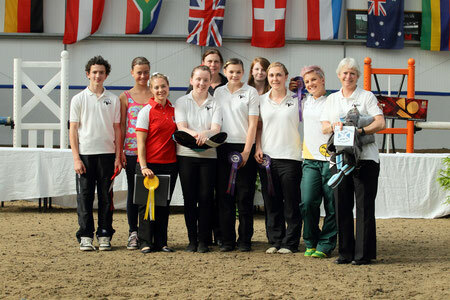 Lucy Philips came for 4 days as a guest coach and helped our vaulters, individuals and the team. This was funded by the Kinross Round Table's dragons den event. We ended the annual camp on the Sunday night with a BBQ. Intermediate Squad: 1st place and British Champions -Hannah Ballantyne, Heidi Ballantyne, Atholl Pettinger, Kirstin Henderson, Molly Turner and Yazmin Williamson on ILPH Islay, lunged by Lynn Ballantyne. Senior Female Individual: 4th Yazmin Williamson on ILPH Islay, lunged by Liz Mackay. Junior Female Individual: 7th Hannah Ballantyne on ILPH Islay, 11th Molly Turner, 13th Hayley Roberts, 16th Beth Doran all on Robbie, and all lunged by Liz Mackay. Junior Male Individual: 5th Duncan Lewis on Robbie, lunged by Liz Mackay. Child Female Individual: 2nd Kirstin Henderson on ILPH Islay, 10th Heidi Ballantyne on Robbie, both lunged by Liz Mackay. Child Male Individual: 1st and British Champion Atholl Pettinger on ILPH Islay, lunged by Liz Mackay. 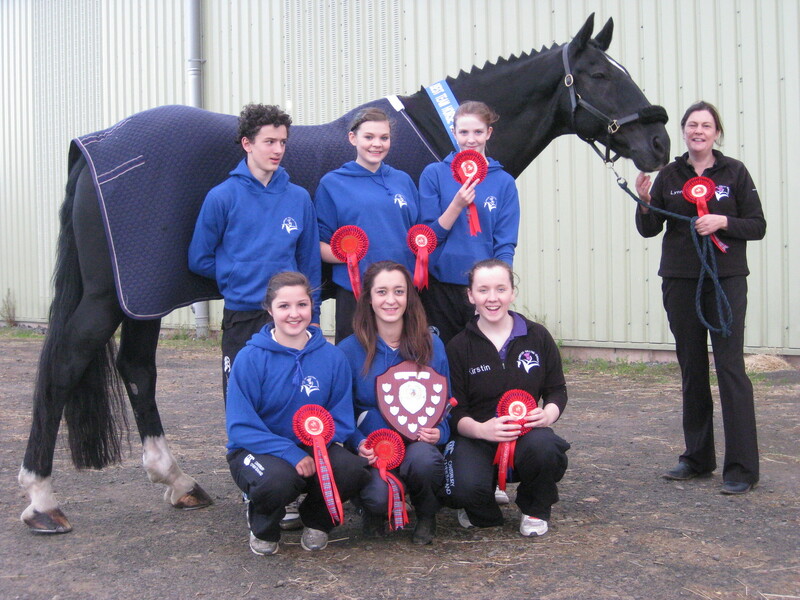 Intermediate Squad: 1st place and Scottish Champions - Hannah Ballantyne, Heidi Ballantyne, Atholl Pettinger, Kirstin Henderson, Molly Turner and Yazmin Williamson on ILPH Islay, lunged by Lynn Ballantyne. Senior Female Individual: 4th Yazmin Williamson on ILPH Islay lunged by Liz Mackay. 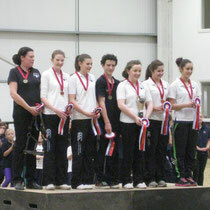 Junior Female Individual: 6th Molly Turner, 7th Beth Doran both on Robbie. 8th Hannah Ballantyne on ILPH Islay and 14th Hayley Roberts on Robbie, all lunged by Liz Mackay. Junior Male Individual: 4th Duncan Lewis on Robbie, lunged by Liz Mackay. Child Male Individual: 3rd Atholl Pettinger on ILPH Islay, lunged by Liz Mackay. Child Female Individual: 2nd Kirstin Henderson on ILPH Islay and 6th Heidi Ballantyne on Robbie, both lunged by Liz Mackay. Canter Freestyle: 1st Laurie McFarlane, 5th Louise Scott, 9th Rachael Leslie, 14th Emily Hardie, 16th Mark Porteous all on Robbie, lunged by Lynn Ballantyne. Well done to all who also took part in the walk classes. 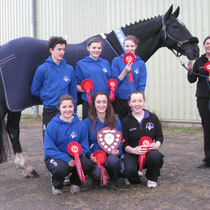 ILPH Islay also won best overall team horse. 2nd Kirstin Henderson on ILPH Islay, lunged by Liz Mackay. 4th Atholl Pettinger on Big Ben, lunged by Lynn Ballantyne. 2nd Maaike Zelvelder(NED), 5th Hannah Ballantyne on ILPH Islay, lunged by Liz Mackay. 11th Beth Doran, 13th Molly Turner on Big Ben lunged by Lynn Ballantyne. 3rd Duncan Lewis on Big Ben lunged by Lynn Ballantyne. 2nd Yazmin Williamson, 3rd Sonyarisa Duckhouse on ILPH Islay, lunged by Liz Mackay. 1st Kirstin Henderson on ILPH Islay, lunged by Liz Mackay. 6th Hannah Ballantyne on ILPH Islay, lunged by Liz Mackay. 3rd Celine Michel(SUI), 6th Kayla Brewer(AUS), 8th Sonyarisa Duckhouse on ILPH Islay, lunged by Liz Mackay. 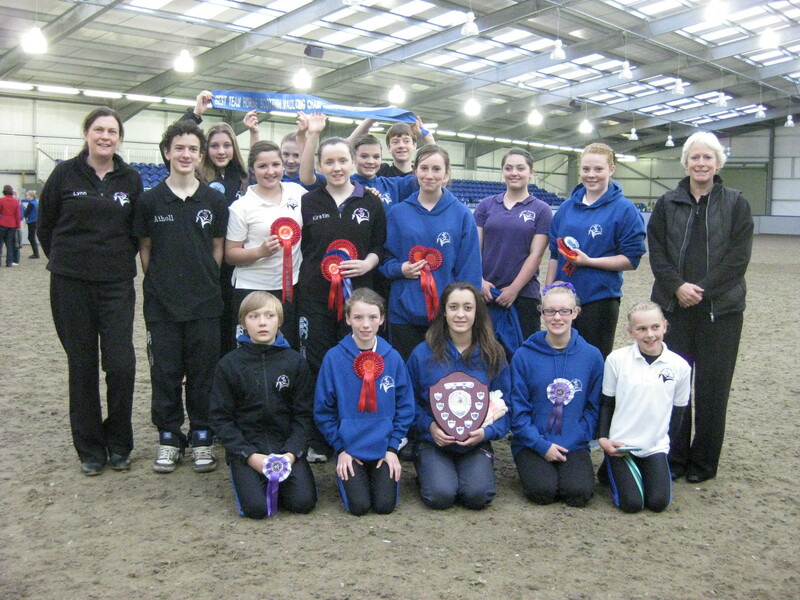 Our pre-novice squad, consisting of Kirstin Doran, Laurie Mcfarlane, Mark Porteous, Emily Hardie, Rachel Leslie and Emma Leslie were 1st, vaulting on Robbie and lunged by Janice Henderson. Senior individual: 2nd Yazmin Williamson on Big Ben, lunged by Janice Henderson. 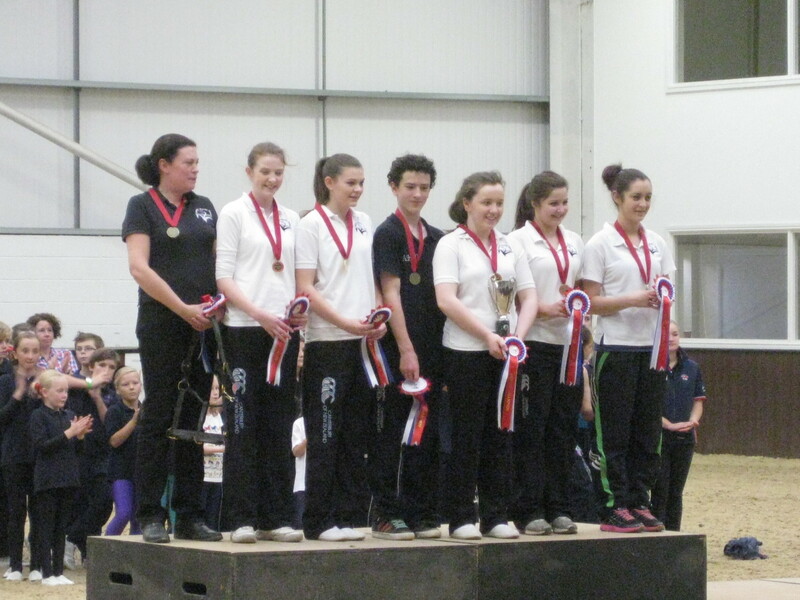 Junior individual: 6th Beth Doran on Robbie, lunged by Liz Mackay. 8th Hayley Roberts on Robbie, lunged by Liz Mackay. Child individual: 7th Atholl Pettinger, 10th Kirstin Henderson, 11th Heidi Ballantyne all on Big Ben, lunged by Janice Henderson. Pre-Novice individual: 8th Emma Leslie on Robbie, lunged by Lynn Ballantyne. Novice individual: 3rd Laurie McFarlane on Robbie, lunged by Liz Mackay. Walk Individuals Section C: 1st Dayna Gilfillan on Robbie lunged by Janice Henderson. Canter Individuals Section A: 5th Mark Porteous, 7th Rachael Leslie on Robbie lunged by Lynn Ballantyne. 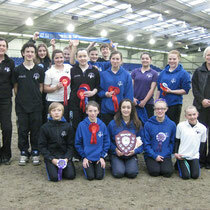 Canter Individuals Section B: 6th Kirstin Doran, 10th Emily Hardie on Robbie lunged by Lynn Ballantyne. 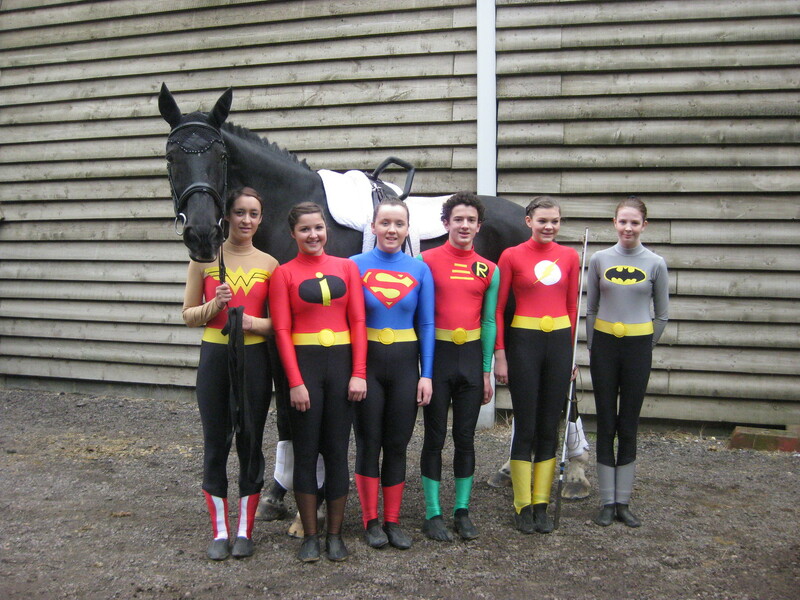 Walk Team: 3rd Kirstin Doran, Laurie McFarlane, Emily Hardie, Mark Porteous, Rachel Leslie and Emma Leslie on Robbie lunged by Angela Pettinger.